There are two new reports that may be of interest to those following the energy sector, and particularly operators of bulk power systems (BPS) coping with the stresses on that sector from the changing supply composition. Electricity markets will have to become more flexible and better integrated across borders in order to achieve secure and low-carbon electricity. In this perspective, governments will have to work together to integrate their regulatory frameworks with regard to security of electricity supply and the deeper integration of electricity markets. This is a necessary condition to execute low-carbon policies at lowest cost. 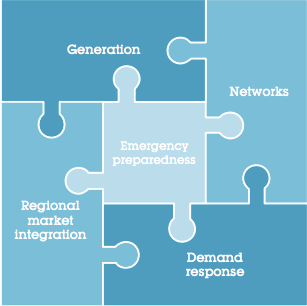 The ESAP is organised into five work streams across the electricity sector and aims to identify the main challenges and share lessons learned from experiences in IEA member countries. Integrating large quantities of variable energy resources (VERs) (predominantly wind and photovoltaic (PV) solar) into the North American bulk power system (BPS) requires significant changes to electricity system planning and operations to ensure continued reliability of the grid. The purpose of this report is to focus on considerations that all system planners and operators must address to reliably integrate significant quantities of VERs into the BPS. 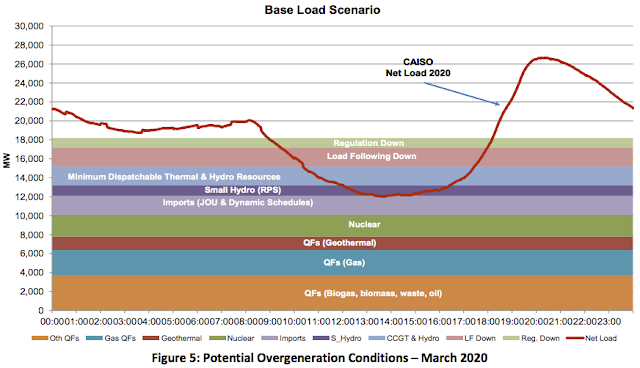 This report highlights the California Independent System Operator Corporation’s (CAISO) current efforts to address these challenges as the issues are imminent in CAISO’s area of operation. I've often referred to the wind and solar generation being introduced as variable Renewable Energy Systems (vRES - which I first saw used by Lion Hirth); NERC's VER (variable energy resources) seems better (less provocative, and the challenge of integration isn't that there are renewable, it's that they are variable). Want to know how to easily produce all of the renewable energy you could ever want right at home? so even if everyone else in your area (or even the whole country) loses power…you won’t. "Smart Grid" or "Strong Grid"?